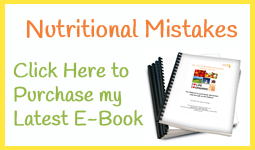 Have you heard of the 100 mile diet? It is where you only eat what grows in your present time of year within 100 miles from you. It takes transport out of the equation. Therefore the food is right for you to eat, based on the weather. You can’t grow lettuce or bananas in winter normally, so you shouldn’t be eating these. You naturally eat warming foods or salted foods in colder months and cooling, sweeter foods in the sunnier months, when they normally grow. You see, your kidneys are responsible for maintaining the proper balance of minerals such as sodium, potassium and calcium, and adjusts your body temperature according to the climate you’re living in. The kidneys control the absorption of minerals by activating or not activating vitamin D, depending on the weather. Your skin makes vitamin D in hot sunny weather, but your kidneys make it when it’s not summer, and it’s a way stronger version of vitamin D production that can improve calcium absorption by 1,000 times. But, your kidneys are inside you and can’t “see” what the weather is like. So it goes by the food you eat. Eat salad and summer fruit in the cooler months and you will trick your kidneys into thinking it sunny & hot outside. 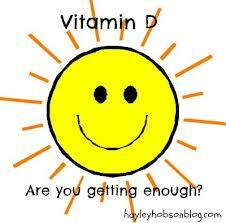 Vitamin D production will be turned off as it thinks your skin is getting plenty. As vitamin D is a hormone precursor to many of your hormones and helps absorption, you can get into real trouble by eating the wrong foods in a season. More sun = more potassium in vegies & fruit. Cooler weather = more sodium in vegies & fruit. So eat potassium rich salads and fruit in winter and you’ll become Vitamin D deficient and will force the body to take calcium from other sources, such as bones, teeth and membranes, which will weaken these structures. To improve this problem, just eat more warming foods, seasonal foods and salt your food in the cooler months. Such as stewed apples, salt on your vegies, eat meat and root vegetables…soups, stews, lightly steamed or sautéed vegies. In the summer you can eat more salads, tropical fruit and just have some cooked vegetables a few times in the week.